This kiss shaped rhinestone belt buckle is a real beauty! It has 26 tiny prong set clear rhinestones, possibly Czech. 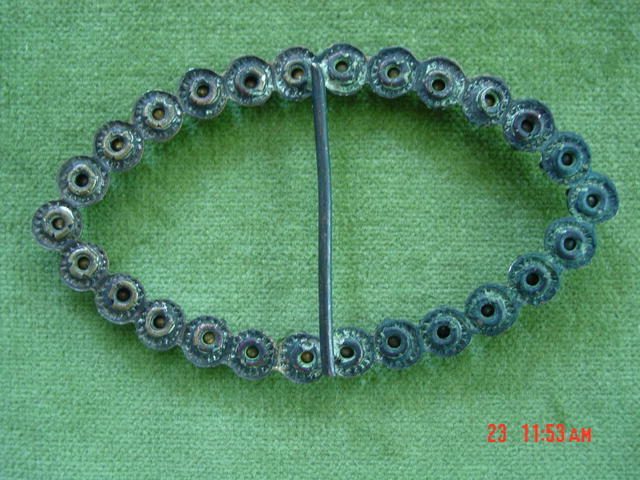 The base metal looks like brass, which has tarnished with age. I believe some of the rhinestones have been replaced since some have more pointy tops than others, but I wouldn't have noticed it if I hadn't used my magnifying glass. 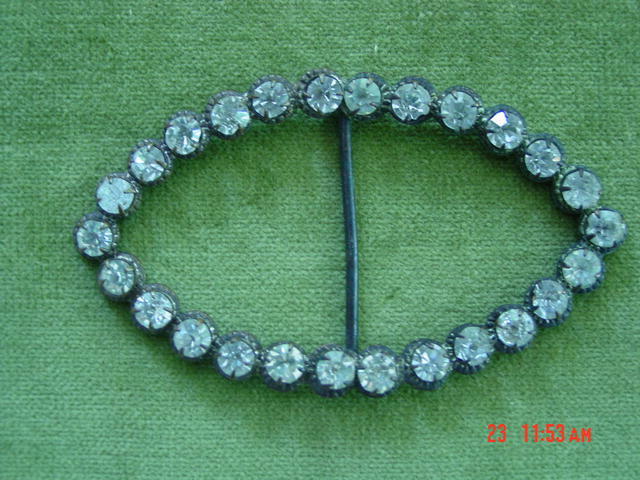 Items Similar To "Antique Sparkling Rhinestone Buckle or Scarf Slide"